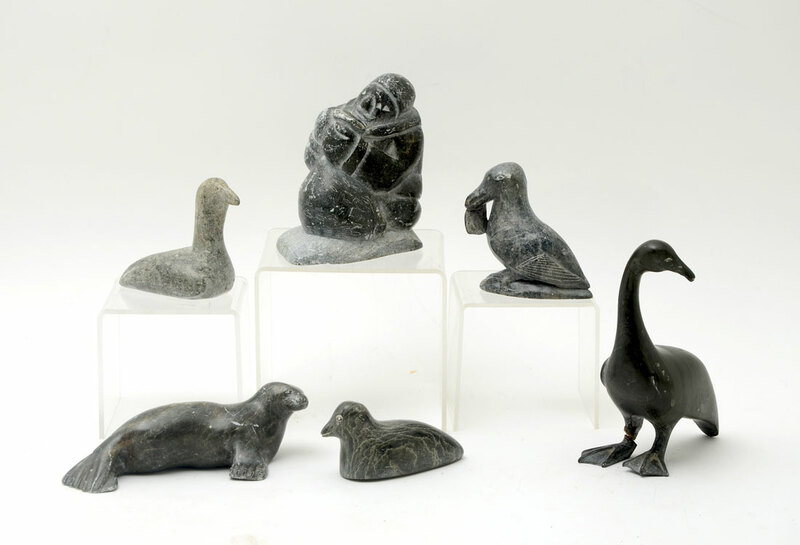 6 INUIT CANADIAN CARVED SOAPSTONE FIGURES: An assembled collection of 5 pieces total to include 1) Peter Nuwya seal, dated '77. 5 3/4'' long. 2) Duck or goose tagged R. Bay, 2 3/4'' h. 3) Duck tagged R. Bay, 3 1/2'' long. 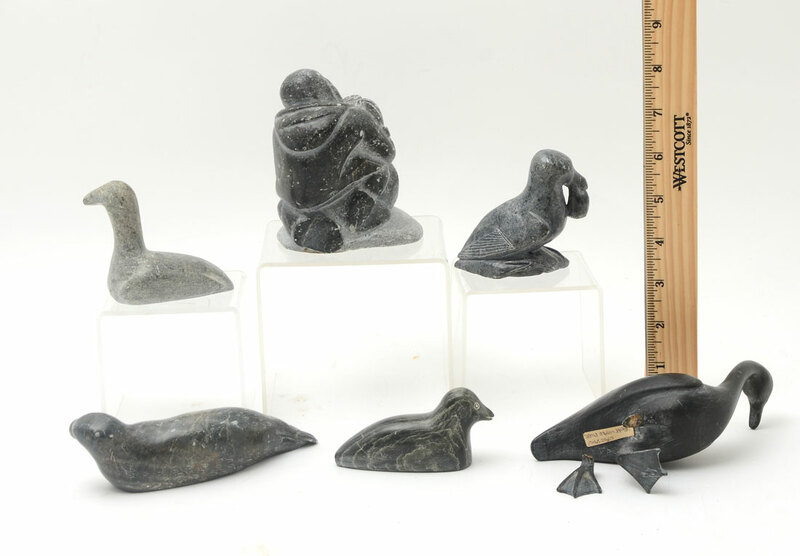 4) Duck with fish in mouth, signed E.A., Canada Eskimo Art tag, 3'' h. 5) Large goose tagged Okoosaw, Great White River, 5'' h. 6) Figure of a man with bag, no markings, 4'' h. x 4'' x 2 3/4''. 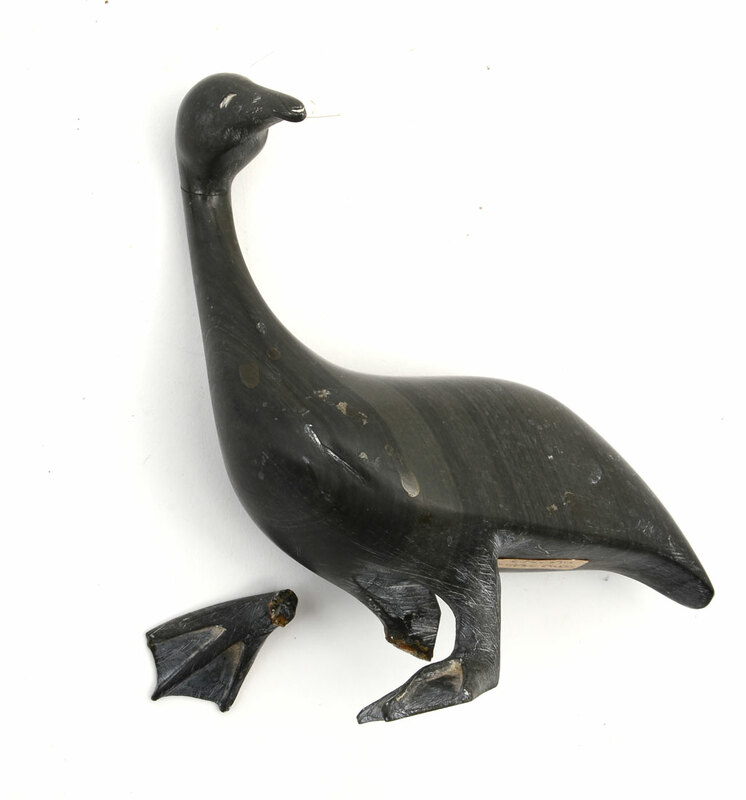 CONDITION: #5 goose has foot removed.